Feel the power of Thanos! Are you prepared for the ultimate Marvel battle! 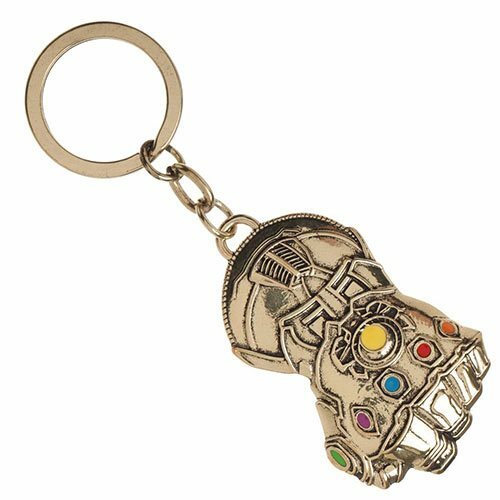 Join in the race against Thanos for the Infinity Stones with this Avengers: Infinity War Infinity Gauntlet Key Chain. This golden key chain features a metal Infinity Gauntlet charm. Ages 14 and up. Measures approximately 2 1/4-inches x 1 1/4-inches.